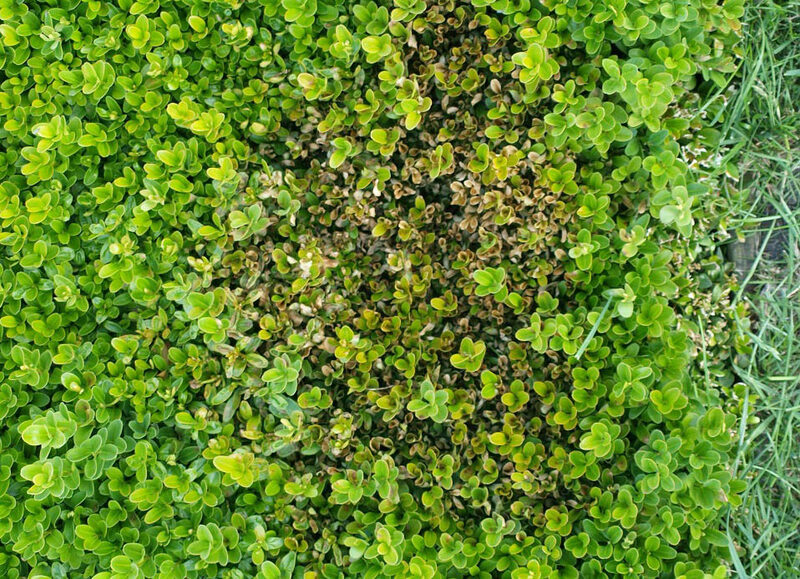 Box Blight is an air borne fungus disease that specifically attacks Box or Boxwood plants (genus Buxus). Although we cannot be certain of the original source of this disease we know that it reached the UK some 20 years ago and was first reported here in the mid 90’s. By 1998 it had become widespread across Europe and is now becoming alarmingly prevalent which is possibly due to the warm and damp summers we have been experiencing. Cylindrocladium is a ‘cold fungus’ and is unaffected by frost. Reproduction is rapid and it is thought germination occurs some 5 hours after penetration. Often Box Blight is not identified until the later stages when there is significant leaf drop and parts of the plant actually die. The early stages are easily missed. A close look at the initial phase will show a darkening of the leaf often spreading out in a circular fashion until the whole leaf is infected. By now the fungus has spread into the stem and the leaf often dies turning a pale yellow or tan colour. Infection in a hedge will often be most noticeable or likely to occur in the top of the hedge rather than the sides. With topiary shapes look initially for small areas of Blight composed of individual stems anywhere on the plant – in time this will of course spread throughout and kill the plant. Box Blight produces ‘resting spores’ and these can remain viable for a long time without moisture or host. This means that it is essential to maintain preventative gardening habits so that the spores are not needlessly spread around the garden or from one property to another. Avoid planting Box in areas of constant damp, shade and poor ventilation. Do not use overhead irrigation as spores are carried and activated in water droplets. If watering is required use a ‘leaky hose’ system. Keep all clipping tools clean. Dip the blades in bleach or disinfectant at the dilution rate recommended for domestic use. Remove all debris and clippings after trimming the plants. 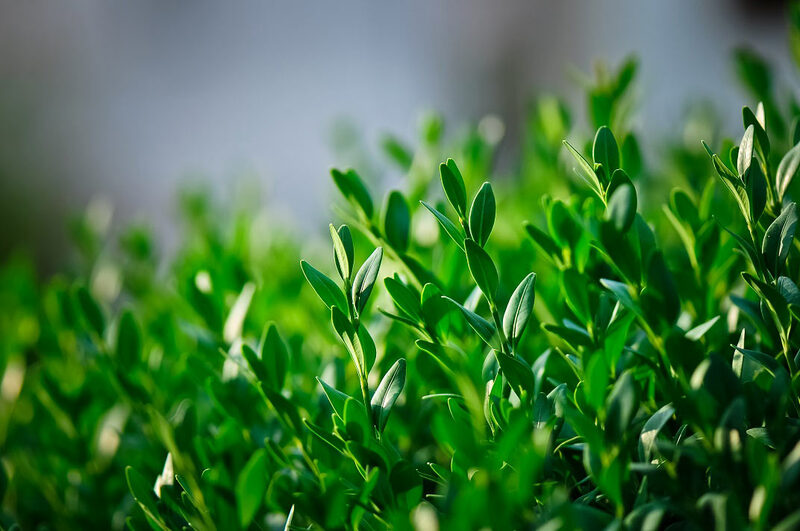 Plants in poor condition are far more likely to contract disease – do everything possible to keep your Box bushes healthy as this will increase their natural resistance. Topbuxus Health-mix will greatly help in this regard.